You are here: Home / Articles / Penguin 2.0 and What You Need to Know: If You Gamed, Will You Be Shamed? Penguin 2.0 and What You Need to Know: If You Gamed, Will You Be Shamed? 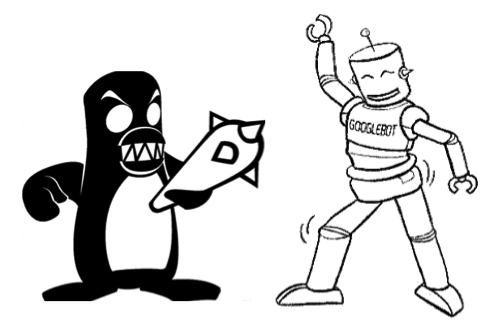 Google’s Matt Cutts announced today the release of its latest major algorithmic update: Penguin 2.0. Earlier this week, Matt mentioned on This Week in Google, “The previous iteration of Penguin would essentinally only look at the home page of a site. The newer generation of Penguin goes much deeper…” so it’s worth website owners and marketers to pay attention. Keep in mind, this Penguin update is focused on webspam: tactics specifically designed to manipulate search engine results and that violate Google guidelines. For readers that don’t spend a lot of time following the SEO industry, Penguin is an upgrade of sorts in how Google filters out webspam. The purpose of which is to enable Google to deliver better quality search results. These types of updates can be nominal or pretty significant, impacting tens of thousands of websites and the ordering of search results for millions of queries. What does a Pengin update mean to companies that have benefitted from search engines to attract traffic to their websites, blogs and other digital assets? For content marketers that focus on quality, customer centric content, developing robust social communities and that are excellent storytellers in their media relations and publicity efforts, this kind of update puts you in an even better position against companies focusing exclusively on aggressive SEO tactics. 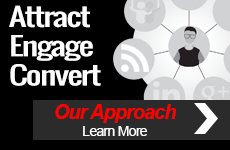 Now more than ever, the integration of content marketing, public relations and social media create an incredibly powerful mix that helps companies connect relevant content with the right audiences to attract, engage and convert more business. Optimizing for customers and experiences impacts the entire customer lifecycle from awareness to purchase to advocacy. Such an approach will continue to pay dividends in the form of growing communities, positive media coverage, well trafficked website and business growth, irrespective of Penguin or other updates Google makes. Unless of course, Google takes the opposite position on customer centric content that people like read, share and link to. Since Penguin is focused on filtering out spammy activities (or the appearance of such activities) then if your website marketing efforts include webspam, this kind of update can result in dropped or disappearing visibility for search phrases. The keywords your prospective customers, employees and the media would normally use to find a site like yours would direct those clicks to someone else. On the surface, that negative outcome can sound a little scary, especially if your company gets a lot of search traffic that converts to leads and sales. What’s important to understand is, whether your company or your agency has engaged in the kinds of SEO link building tactics that fall under the Penguin spotlight. The good news for clients of TopRank Marketing, is that we do not employ ANY “gray area” SEO tactics when it comes to link building or content optimization. Our top priority is to optimize for customers and conversions, as well as search engines. Keep in mind too, that search is only one channel for discovery. So while search is incredibly powerful for driving traffic and sales, we do not feel the need to “game Google”. Our focus is on winning the search engine optimization game with better customer targeting, better quality and more creative content, integration with social media and ongoing performance optimization. There’s more to our services than that of course, since we integrate our efforts with community building, public relations, online advertising and email as well. For more details on what Google has in mind over the next few months of updates, here’s a video from Matt Cutts followed by a few observations and general SEO comments / recommendations. The Penguin update implemented today is focused on squashing webspam. Make sure you engage in a benchmark SEO audit and then periodic evaluations and ongoing monitoring that includes a technical review of both on and off page SEO efforts. 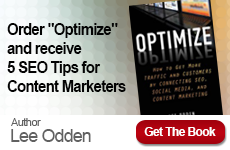 These audits will detect any (intentional or not) spammy optimization or linking tactics. Links from low quality sources, or a high percentage of links to your site that use the exact same anchor text can be seen as manipulative. Of course buying links is a big no no and if you do engage in the purchase of advertorial, sponsored content or native advertising, the links within that content should be nofollow per Google quality guidelines. Social share and content engagement signals continue to be important. That means marketing and amplifying relevant content that people click through to, interact with and share on social networks. Amplification is as important as the content itself and should be factored during content planning and customer targeting. Social share and engagement activity as well as the authorship relationship to content can affect the visibility of that content. Keep building up the topical and social authority of your content producers, marketing team and executives that operate as public conduits to the brand. Google may further assign greater value to sites that are deemed more authoritative on a particular topic. This is already the case, so make sure rel=author and verification with Google+ accounts processes are in place with any content author for your brand. People with verified G+ accounts cross linked to where they publish on the web can carry with them, “authority” for those specific topics.